Signia is a leading-edge producer of hearing systems. Created and housed under the Sivantos parent company, Signia is proud to share common ancestors that engineered clearer phone conversations in the late 19th century, began the first serial production of hearing aids in the early 20th century, and created the first behind-the-ear hearing system in 1959. Their history of innovation, education and empathy continues on in our brand today. Beyond delivering effortless hearing, Signia hearing devices can also alleviate the stress of tinnitus. Choose from three different approaches, each finely tuned to suit every degree of tinnitus: A soft therapy signal distracts from the unwavering annoyance of tinnitus and can be customized to best suit each individual. Or, choose Ocean Wave therapy and be comforted by calming oceanic sounds. Finally, Signia wearers can choose Notch therapy, which offers the potential of eliminating tinnitus permanently by cataloguing the tinnitus sounds as background sound, over time training the brain to no longer register them at all! Signia offers some of the most sophisticated listening features on the market with the Primax star platform. 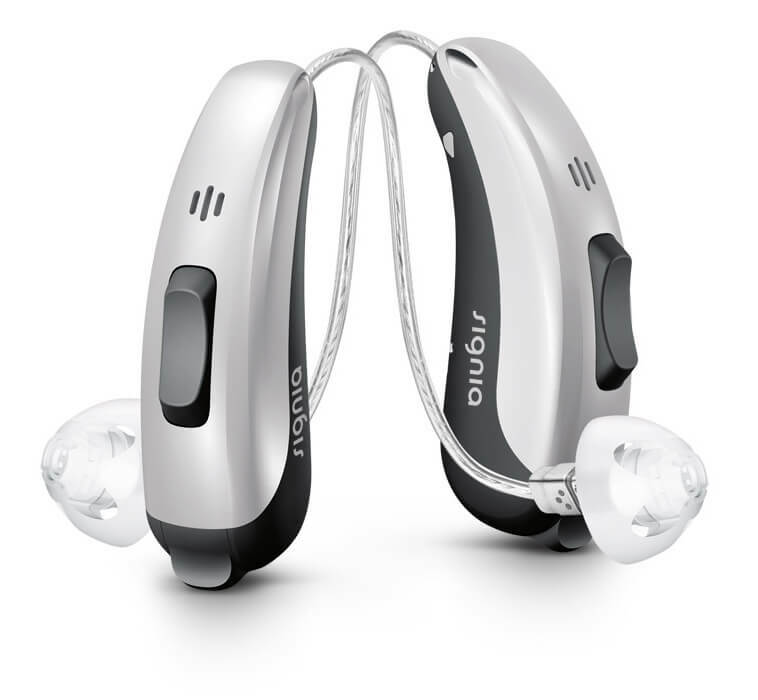 This remarkable line offers a rechargeable hearing aid with long lasting battery life of up to two days, thanks to the industry’s first lithium-ion inductive charging system, plus binaural technology delivering 3D-like sound. Primax combines a multitude of our foremost audiologic technologies to create the most advanced devices available. 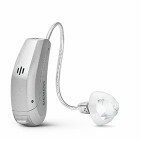 The inclusion of SpeechMaster technology produces a truly intelligent hearing device. Able to filter out ambient or distracting noise and hone in on the primary speaker, Primax takes the effort out of listening for those with hearing difficulties. The EchoShield program reduces reverberation and reflected sounds, making the tones you want to hear the only ones you do. EasyTek seamlessly integrates your Bluetooth technology with your hearing device, making feedback and messy cords a problem of the past. With CROS and BiCROS, the sounds delivered to an ear with unaidable hearing loss is now transferred into the aided ear, making sure that you never miss a beat. Includes the easiest and hassle free hearing device battery-free option available with lithium-ion inductive charging. 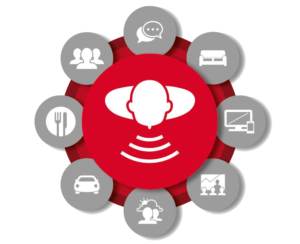 EasyTek capabilities connects easily to your Bluetooth enabled devices. Small but mighty! This new line fits discreetly in the ear, yet maintains powerful functionality. The specially designed disposable soft-silicone click sleeve guarantees a comfortable fit for everyone. Signia’s smallest RIC hearing aid is great for first time users. Your choice of a variety of colors all with an easy and discreet control option. If you weren’t hearing so effortlessly, you wouldn’t know you were wearing this model. One of Signia’s most invisible options, it nevertheless provides a powerful sound delivery. Signia’s first model to offer Bluetooth technology to enhance the audiology capabilities, the Pure 13 BT Primax delivers strikingly effortless listening to its wearer. 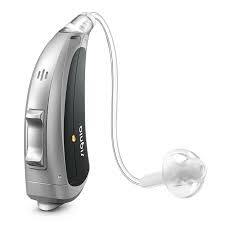 One of Signia’s most versatile and elegant models, the Pure Primax suits a variety of hearing loss levels and houses powerful performance all within a discreetly engineered design. An RIC model that delivers optimum amplification with an incredible battery life. Increase the hassle-free factor by going with the rechargeable battery option. The Motion P and SP models are ideal for those with severe to profound hearing loss. These powerful options deliver monumental amplification with complete usability. 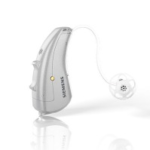 The Motion SX and SA models suit a variety of hearing loss needs across the spectrum. Drawn to their comfort and convenience, users enjoy full functionality despite their simple design. And, of course, the incomparable practicality of the rechargeable battery. The Motion S provides a sleek and straightforward option without sacrificing the full suite of technology that delivers ideal amplification to its wearer. For more information on Signia products, contact us at Hear Care Rhode Island.